The C250 Heavy Duty Gully Grating is ideal when you want safety and strength. This drain grating is made from ultra-strong ductile iron. Made for high traffic areas, this drain grating is coated with black bitumen. For added safety, this grating comes with a caption hinge. Looking for a strong, durable alternative to traditional manhole covers? If so, look no further than Fiberpol. 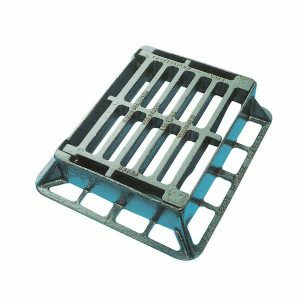 This drain grating is heavy duty and made with ductile iron for the ultimate weight to strength ratio. Made with a 25 ton safe test load, this grating is ideal for high traffic areas. This grating is black bitumen coated, and it is equipped with a caption hinge, which increases safety.